Can you afford to go to college? Yes, you can with Redlands’ low tuition and fees. Audit a Course (without credit): Same charge as regular fees. Non-Credit Offerings: Non-credit courses, workshops and seminars will be priced on the basis of individual program costs. Non-credit Recreation and Fitness Classes: Full refunds will be granted to non-credit students who officially withdraw prior to the start of the first class meeting. Students who withdraw after the start of the first class meeting will not qualify for a refund. 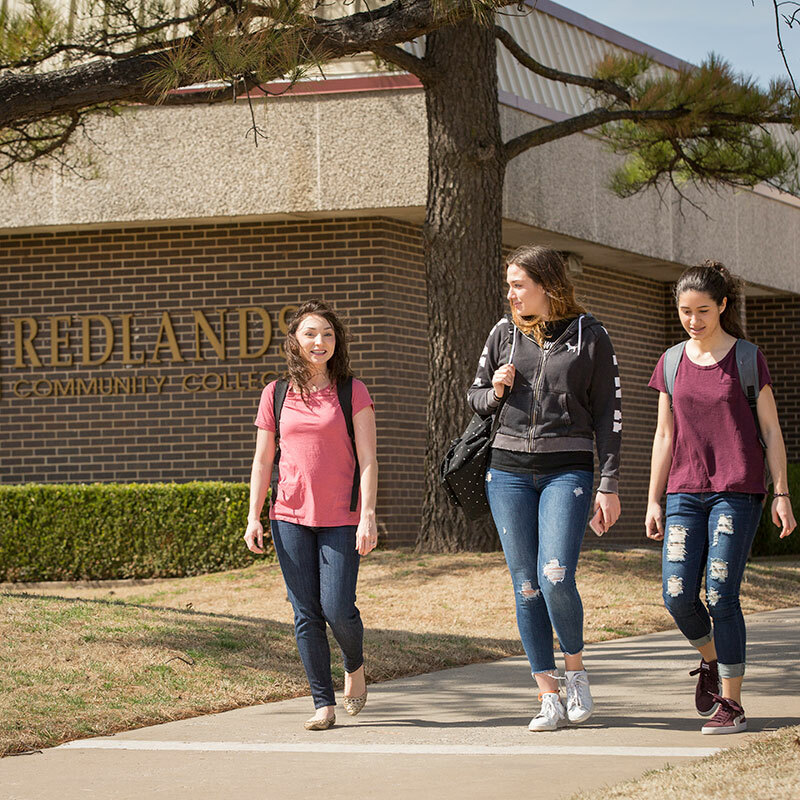 To officially withdraw, a non-credit student must contact the Office of Fitness for Life 405.422.1418 or 405.422.6229 or they will be billed for the class. Non-credit Continuing and Contracted Education Classes: Participants enrolled in non-credit classes, workshops, seminars or other activities offered by Redlands Community College who officially withdraw before the scheduled starting time will receive a full refund. To officially withdraw, students must contact the Student Services Office at 405.422.1417. Participants who fail to officially withdraw will be billed. Testing Fee: Contact the ACE Tutoring Center for information on specific testing fees, 405.262.2552, ext. 6270. Miscellaneous Fees: For some services and in some courses, special services, supplies or equipment may be used. Costs for these are the responsibility of the student. Special charges are itemized below and reflected in student bills. Fees Are Subject to Change: Tuition and Fees are approved by the Oklahoma State Regents for Higher Education and are subject to change without notice. In the event of an approved change, you will be assessed accordingly.